We got the full company together for a post show company photo after one of the shows this week. Crazy that this is all wrapping up next week….wild. 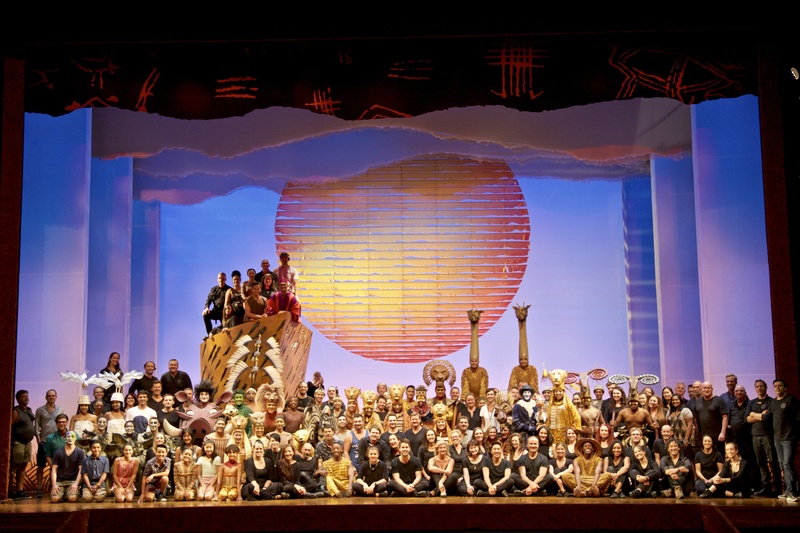 This entry was posted in Burswood and tagged Australia, Perth, The Lion King, The Lion King Australia. Bookmark the permalink.